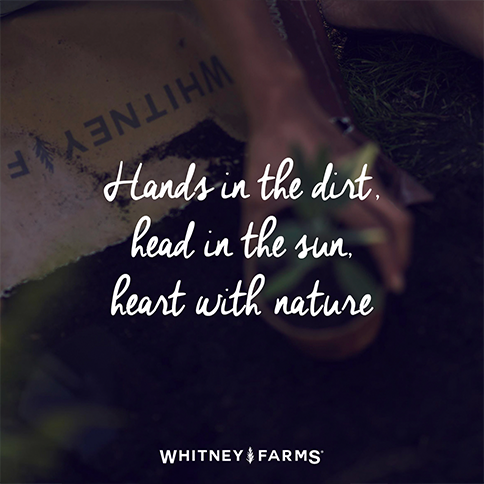 Whitney Farms develops a unique ecosystem of down-to-earth organic products designed to supports the hands-in-dirt dreams of independent gardeners, no matter how big or small their projects. 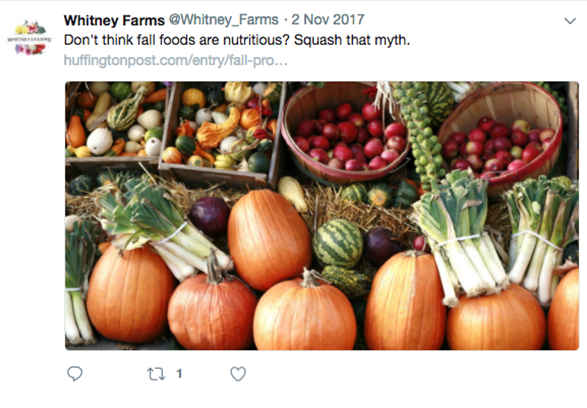 In May of 2016, Whitney Farms invited us to help them grow with a robust search engine optimization campaign. 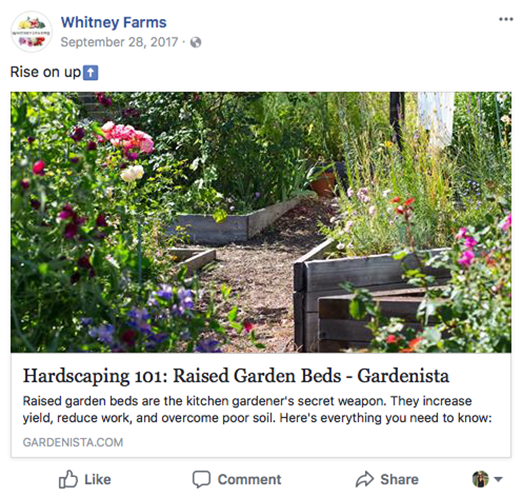 Through a combination of water, sunlight and proven best practices, we were able to help their organic traffic truly bloom with 91% growth in a single year. That’s nearly double the traffic in 12 months! With all that success in gardening products, you’d think we’d be able to keep our office plants alive, but no such luck. We engaged Jane Creative based on a recommendation from another partner and haven’t looked back. Since Jane began managing our social media interactions on Facebook, Instagram, Pinterest, and Twitter we have seen exponential growth in fan base, excellent engagement and improved audience targeting. The team is hands on and makes sure they have a firm understanding of our brands and audience, which only enhances the performance and experience. To date Jane has proved knowledgeable, responsive, and nimble allowing us to grow audiences and engagement rapidly. Perry Boylan,Digital Marketing Manager,Hawthorne Gardening Co.